What is Google Drive, anyway? Google Drive allows you to upload files to a file system. Google gives you a decent amount of storage that is shared between Gmail, Google Drive, and Google+ Photos; I have 15GB to use. Your Google Drive can be organized by folders. Want to access your Google Drive folder from your desktop instead of navigating to your Drive in your browser? You can download a Google Drive app for your home computer. This will create a special “Google Drive” folder on your computer and, once everything syncs, copies of your files will appear there. You can also download a Google Drive app for your iOS or Android smartphone or tablet. You can see and access your files there, too. I can choose to share a folder or file with any email address. This lets that person access the item from their own Google Drive automatically. It’ll show up in their Drive when they go to the website, look in their computer Google Drive folder, or browse their Drive through their smartphone app. This makes it especially easy to share resources with my students. Google Drive also has its own proprietary office suite, Google Docs. Users can create and share editable documents, spreadsheets, forms, presentations, and more. What’s especially cool about Google Docs is that multiple users can edit a document at the same time. Changes will appear on everyone’s screens in real-time. I take advantage of all of those features for my private music students. I’ve always organized my students’ resources by creating individual folders for each student and saving their files into their folders. All I needed to do to start using Google Drive was copy those folders into my special Google Drive folder. This automatically uploads them to my Drive. Each folder is then shared with student or parent email addresses, allowing them full access to their individual folder. Any changes I make on my end will be updated and reflected in their copy, too. Even though I prefer to use Dropbox for my personal files, once I remembered Google Drive’s collaborative file editing tools, it was easy to choose that service for my students’ files. Google Docs allows me to create written assignment templates and assessment forms that students can complete online, in their browser, or via a tablet, iPod Touch, or smartphone. Google provides free services to users in exchange for access to certain aspects of your data. For example, email content is scanned and used to help Google refine its ad targeting. In April 2014, Google announced that it would stop mining education email and Google Apps content for ad targeting. However, this practice has not been discontinued for regular email and content stored on Google’s servers — like Google Drive content. Because no personal information besides first name and email address is stored and shared in my students’ folders, I do not believe that major privacy issues are inherent in using Google Drive. The only content stored is related to students’ musical preferences and assignments. I am open to hearing other perspectives and concerns and may reevaluate this workflow in the future if needed. Right now, I do not see any limitations of using Google Drive for student resource sharing, synchronization, and collaboration. I will update this section in the future if needed. I’d like to hear from you now: do you use a cloud file storage system with your private or classroom students? What’s worked for you and what has not been as successful? Leave a comment and let me know! Great stuff. I’m working along similar lines myself. I love Gdrive for it’s ease of use and simplicity, but I’ve been thinking about a ‘front end’ app which could collate documents, audio files, picture files and organise them into a ‘music diary’ or similar. 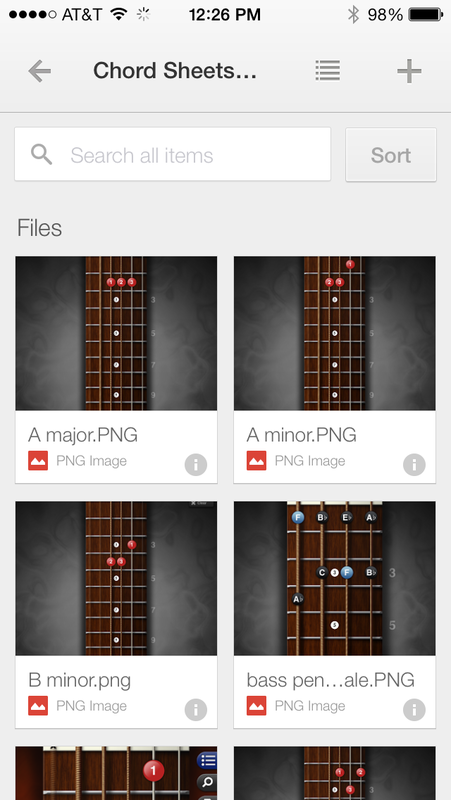 It would be great to tap into the power of Gdrive but knit everything together with an add on specifically for music lessons. Hi Jack! Thanks for taking the time to comment! I’d love to see an app that would do just as you say. Ideally, students would have a way to input ‘reflections,’ perhaps via creating and editing their own documents into their repository, too in order to really emphasize the ‘music diary’ idea. 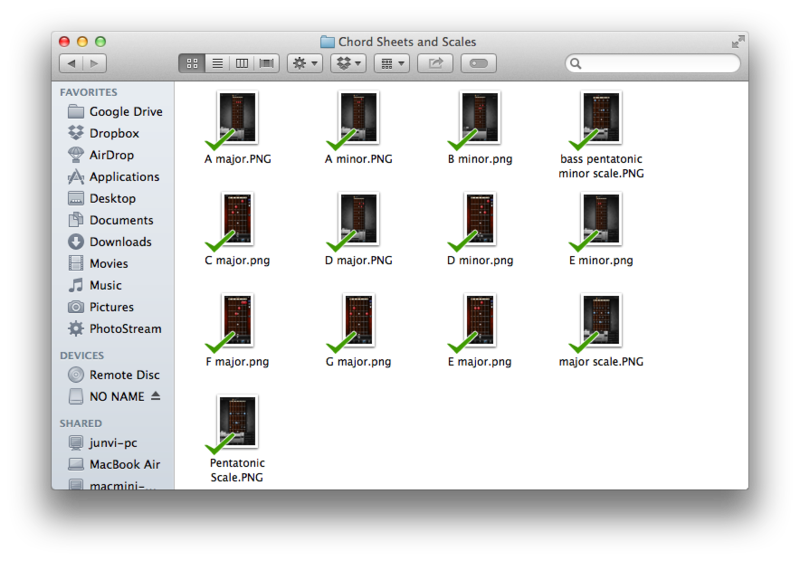 It’d be a great way to automate the process of creating a music portfolio. Yes. I had a dredge through the Google Drive apps which currently exist, but there isn’t a ‘diary’ one. I’d like to be able to link videos (example videos/ videos of the student performing), audio, links etc into one centralised diary. I might build a template in one of the google apps which currently exist (docs or slides probably). I’ll share it with you if I do. Awesome; I’d love to see it! Sorry about the delayed response. Hey Justine! Great post! I work as a high school music teacher in Ontario (and also run http://musictheorylessons.net) and have begun using Google Drive to seemlessly share information with my class. I find it really cuts down on copying costs and students can never use the excuse that “they forgot it in their locker”. Thanks for this detailed explanation!